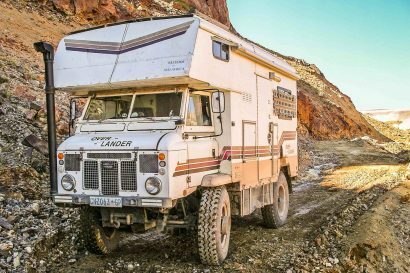 For the last five years people from around the world have been traveling to cities in Arizona for an international gathering of overlanders. They share food, drinks, and stories forming a camaraderie that few other groups have ever possessed. 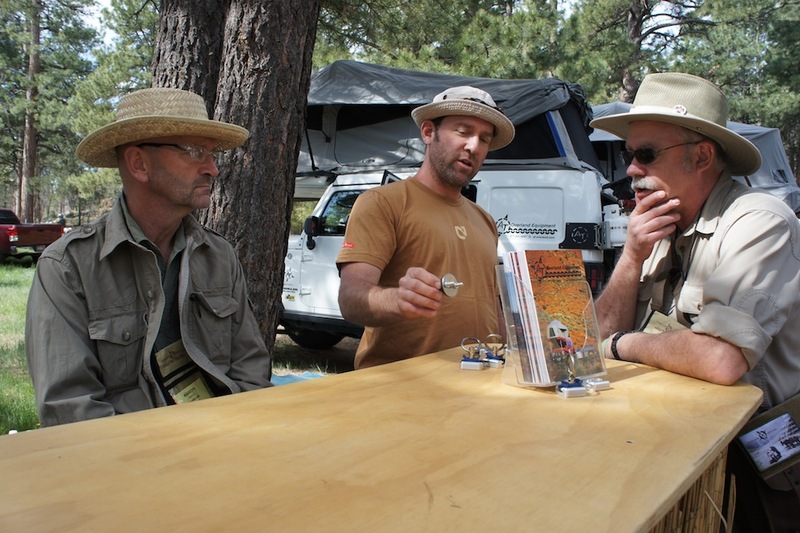 I’m talking of course about Overland Expo. This years visit was my first ever experience with the event and in spite of my somewhat idealistic view of what it would be like, it did not disappoint and in fact exceeded my expectations. 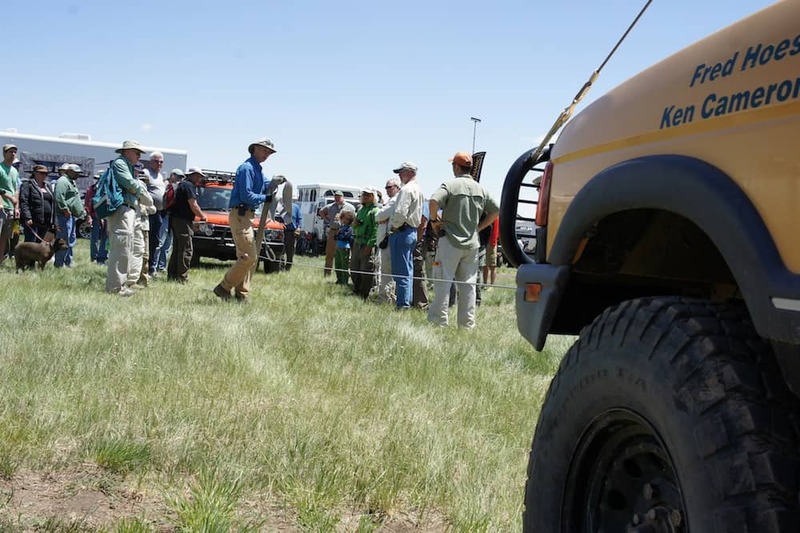 Over 100 vendors showing up to showcase the newest and coolest in gear, gadgets, and trucks for the overlanding world. The entire event was an array of senses that swirled into what can only be described as overwhelming. 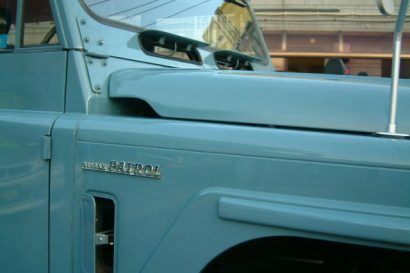 Excitement and laughter were everywhere, sweet rich smells of food being grilled wafted through the air, and the latest kit glistened on nearly every vehicle. No matter which way you turned there was something exciting taking place. Admittedly I loved seeing the new products, and sampling the delicious food, but the best part of Expo couldn’t be purchased or installed, worn or tasted. Nothing came close to the interactions I was able to have with fellow adventurers. From the speakers at the workshops, to the people you shared a beer with around the propane-powered campfire (ask someone from this years Expo), the friendships I formed simply couldn’t be beat. 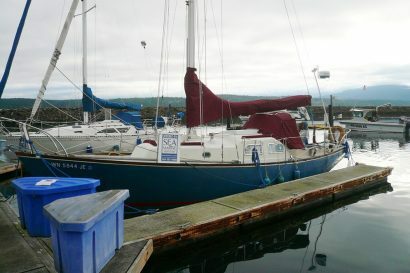 Stories were swapped and experiences were shared, not only giving you knowledge of other’s adventures, but also inspiring you to create your own. In a similar fashion to overlanding, we attend this event for the experiences and sharing of culture and friendship between people. 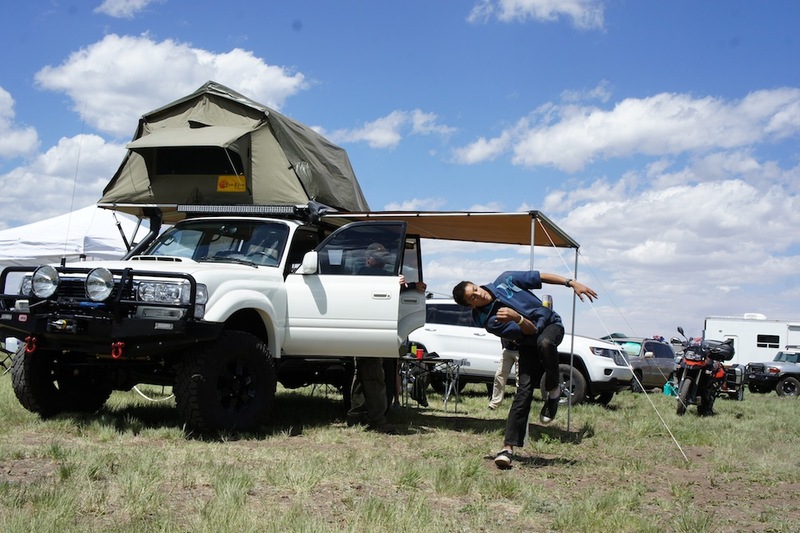 Regardless of where you’re from, what language you speak, or how you choose to travel, Overland Expo has a way of making you feel welcome and bringing you together with people from all corners of the globe. I can say with confidence that I will return to the event as there is no experience quite like it. The awesome vehicles, innovative products, and fantastic food made me like the event, but it is the people that have made me love it, and that’s what will keep me coming back year after year. 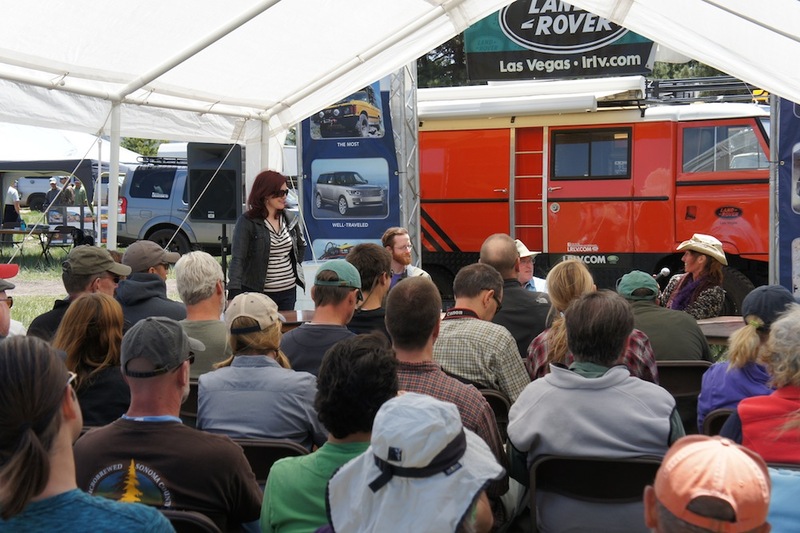 A group of overlanders listen carefully as an experienced Land Rover instructor explains the upcoming obstacle in which they’re standing. 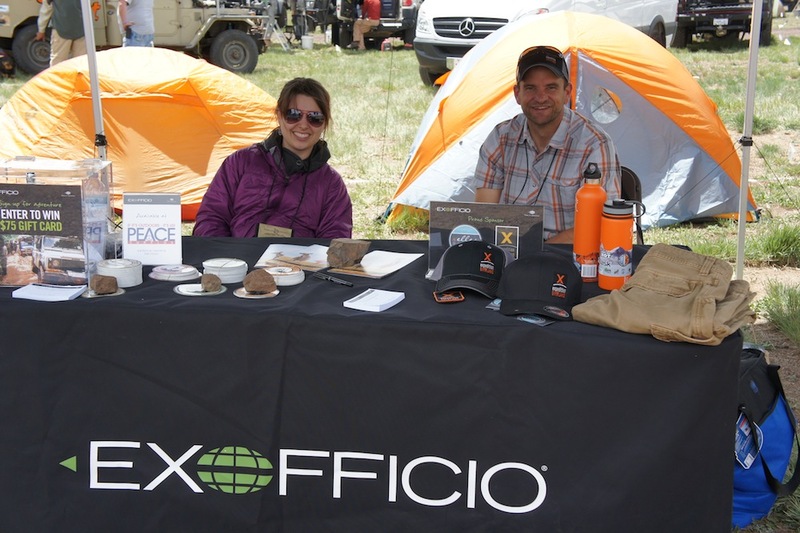 The ExOfficio crew were having a great time meeting new people and showing off their great clothing. Many speakers shared their experiences in speaking and Q&A sessions similar to this one. 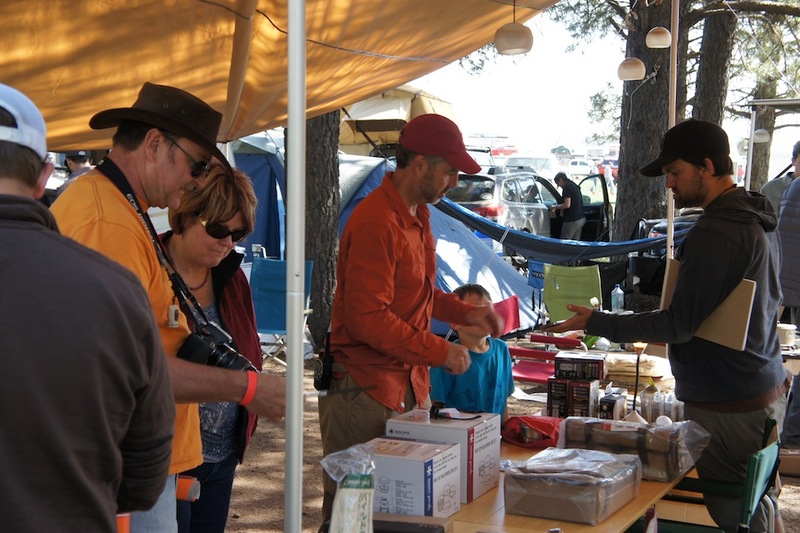 Everyone was eager to check out the latest gear from Snow Peak and share some cooking experience. 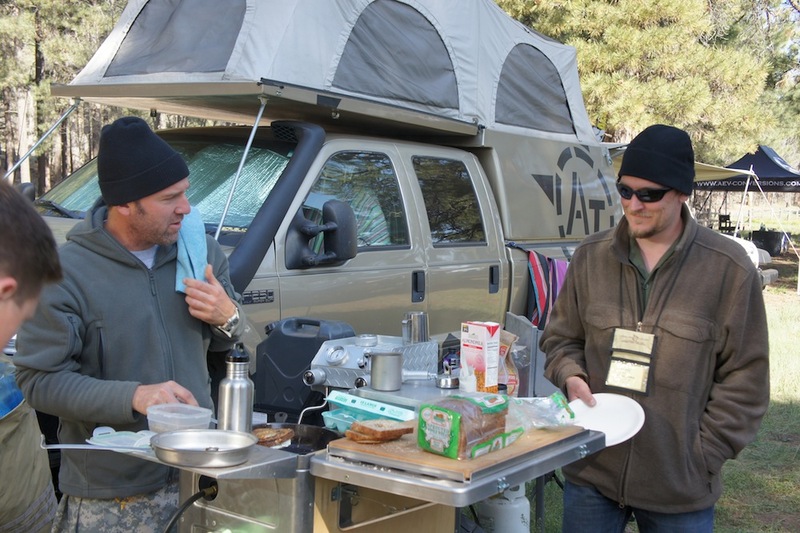 A friendly discussion over at Adventure Trailers revolved around a widget! 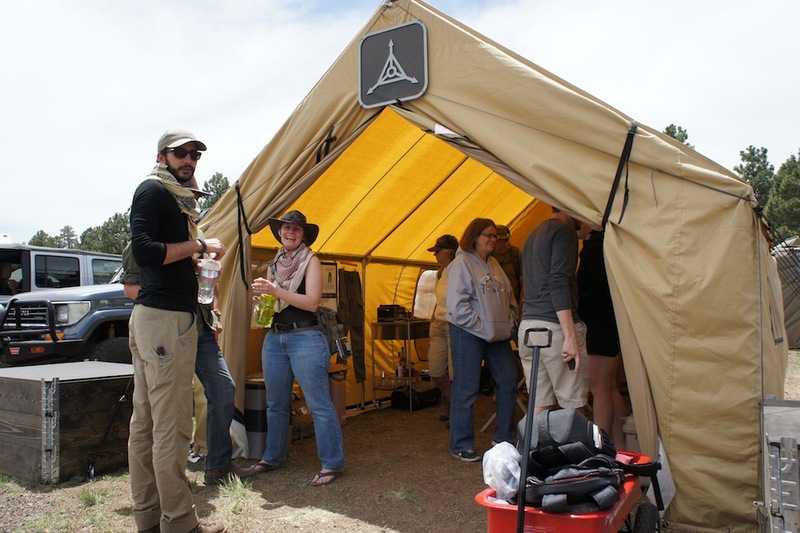 A group gathers at Triple Aught Designs to chat and check out their newest clothing. 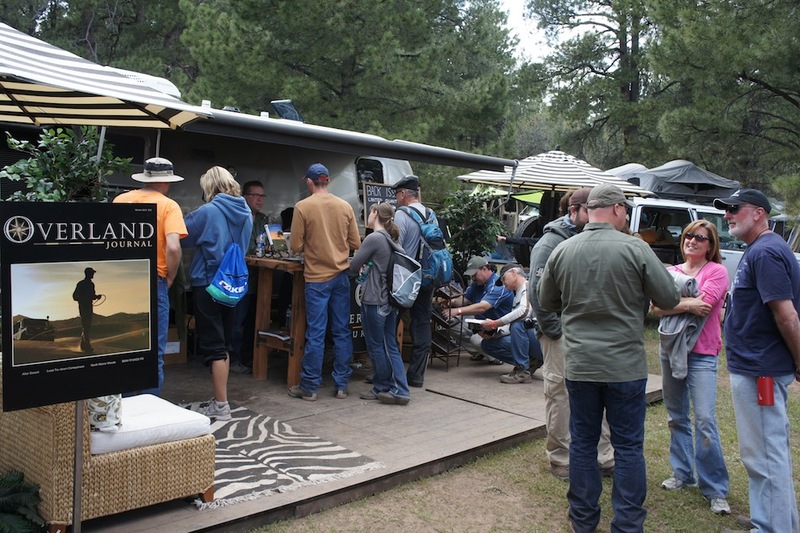 Outside the Overland Journal booth, people checked out the latest issue of the magazine, swapped stories, and asked the staff questions. A dance session broke out in the middle of the Expo while people cheered on this young adventurer. 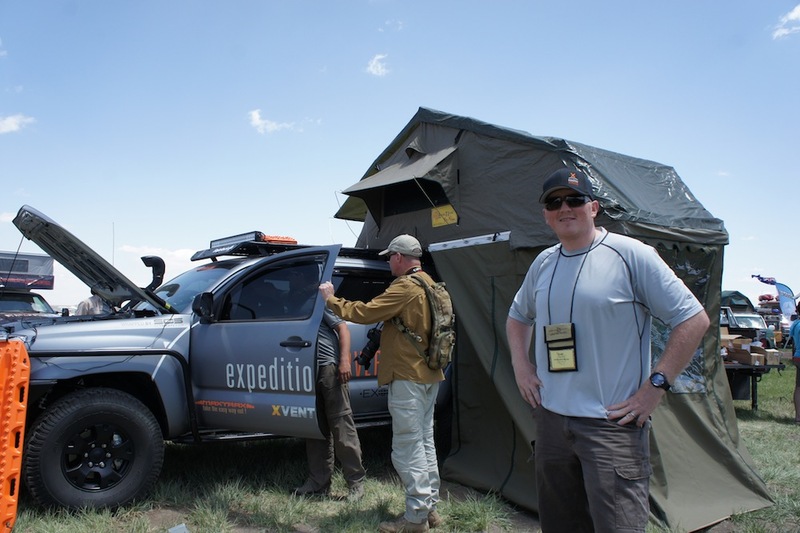 Expedition Overland showed off their latest merchandise and had a great time talking to their fans.